SamVed Band led by KK& Ritvik Joe which is ruling millions of heart and has been selling thousand of their album. 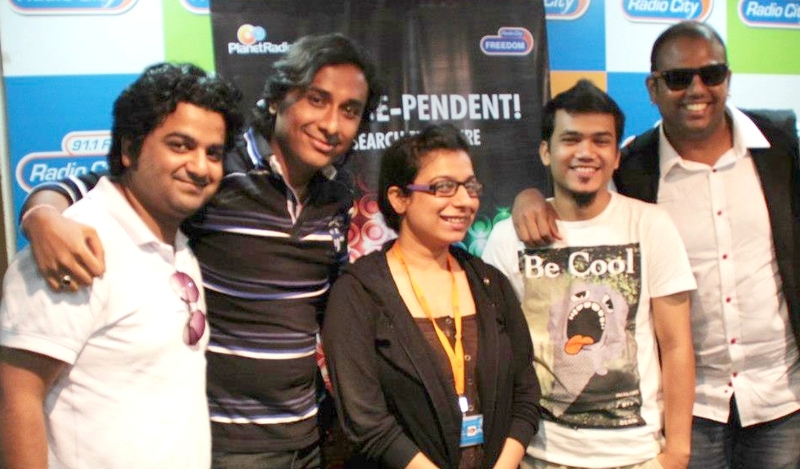 Now Radio City Freedom Award has selected them as top 5 bands out of 700 entries across the country, in a category of Best folk fusion Artist. SamVed is an Electronic Project mixed with rooted Indian Hindustani classical Music which has been liked by many cities of India and abroad. It’s an attempt to revive the ancient classical music by fusing it with upbeat electronic music & the band is very popular in France. SamVed aim is to promote innovative & experimental electronic & Classical music in India. They are currently producing multiple workshop-oriented playlists for upcoming future musicians. Zeeshan Khan said, “People are accepting new genres of music and are showing interest in original music as opposed to popular covers, which has been the norm for a long time. Who knows, maybe this could be the start of something special for Indian music market globally. Kirti Das on percussion and Sangeet Mishra on rooted sarangi, the sound designer/ electronic artist, Sarangi and Percussion it was decided that Samved would be a Collaborative Collective. “It is important to note that a few years ago, bands who had a ‘different’ sound would have ceased to exist after their first few performances simply due to lack of support. Now India is accepting electronic music,new age sounds. The talented youngsters who wish to make music a medium of communication. The good news is that now there is a sea of change”, said K.K.